They came from the land down under and they conquered the charts like no band before or since, with a debut that shattered records by staying for 15 consecutive weeks at the pole position on the Billboard Top 100. 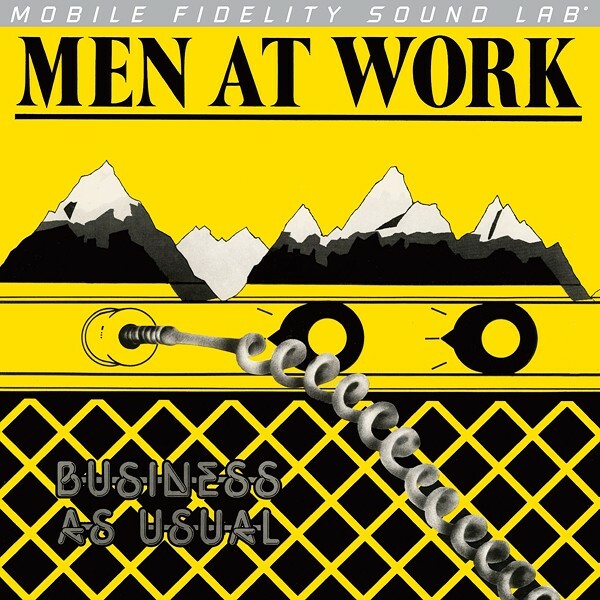 They were Men at Work, a quirky bunch led by a Scottish-born vocalist whose humor, style, and distinguished singing helped the quintet become one of the 1980s’ definitive new-wave acts. 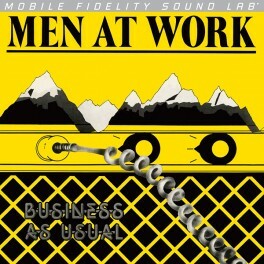 Men at Work Business as Usual on Numbered Limited Edition Silver Label LP. 1982 Set Shattered Records for Most Weeks Spent at Top of Charts by a Debut: Contains Smash Hits "Who Can It Be Now?" and "Down Under". 01. Who Can It Be Now?